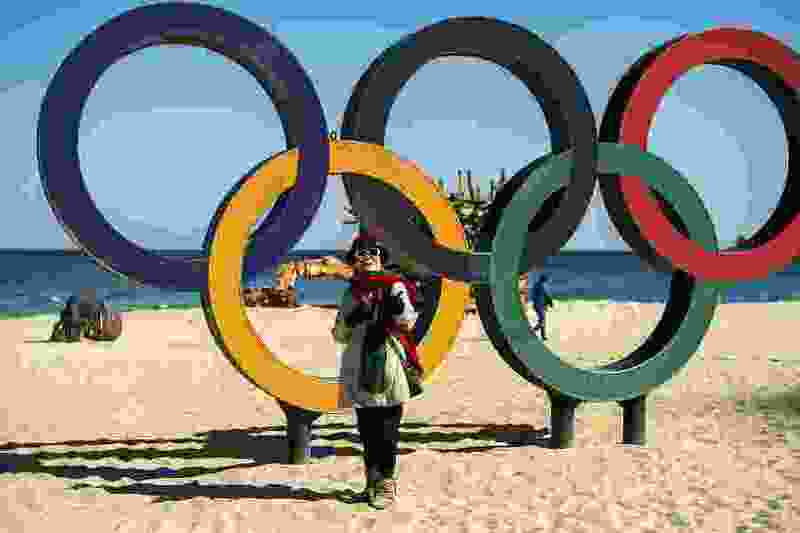 (Chris Detrick | The Salt Lake Tribune) A women poses for photos at Gyeongpo Beach during the Pyeongchang 2018 Winter Olympics Monday, February 12, 2018. 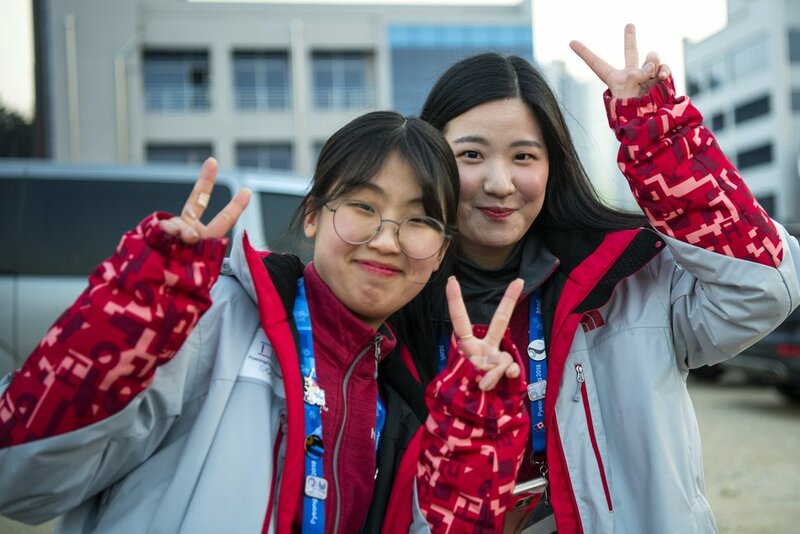 So as we prepare for our long return trek home to Salt Lake City, we wanted to share with you, the readers, what we experienced during the last three weeks here covering the 2018 Olympic Winter Games in Pyeongchang, South Korea. After much deliberation, we’ve narrowed it down to what we’ll miss the most about this country and what we, well, won’t miss. 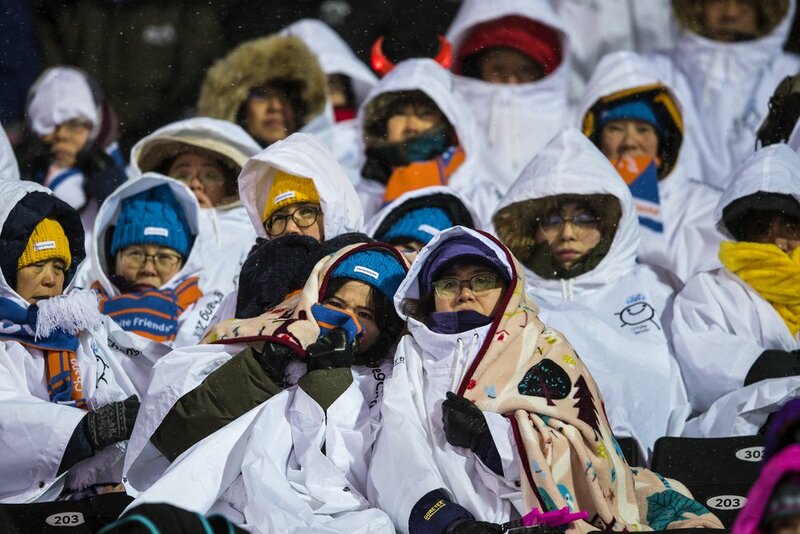 (Chris Detrick | The Salt Lake Tribune) Spectators watch the Ladies' Moguls Final at Phoenix Park during the Pyeongchang 2018 Winter Olympics Sunday, February 11, 2018. THE COLD — Yes, we know the Winter Olympics are the Olympics in winter, but this has been a special kind of cold. Freezing winds, called the Asian Winter Monsoon, have been a constant companion, forcing all sorts of scheduling issues and muttered curse words over the past three weeks. (Chris Detrick | The Salt Lake Tribune) DJ Heady and his dancers perform during the Men's 500m Short Track Speed Skating at Gangneung Ice Arena Pyeongchang 2018 Winter Olympics Tuesday, Feb. 20, 2018. “GANGNAM STYLE” — The video for Psy’s K-pop anthem has more than 3 billion views on YouTube and it feels like half of them have come from the people in charge of the music in Pyeongchang. THE LIZ SWANEY DEBATE — The California native lives in Utah, represented Hungary at these Games, and dominated the internet after her less-than-impressive performance. You could probably go to Park City wearing a blindfold and pick out a woman with more moves in the halfpipe, but are you really that upset about her 60-second run? Really? Really? 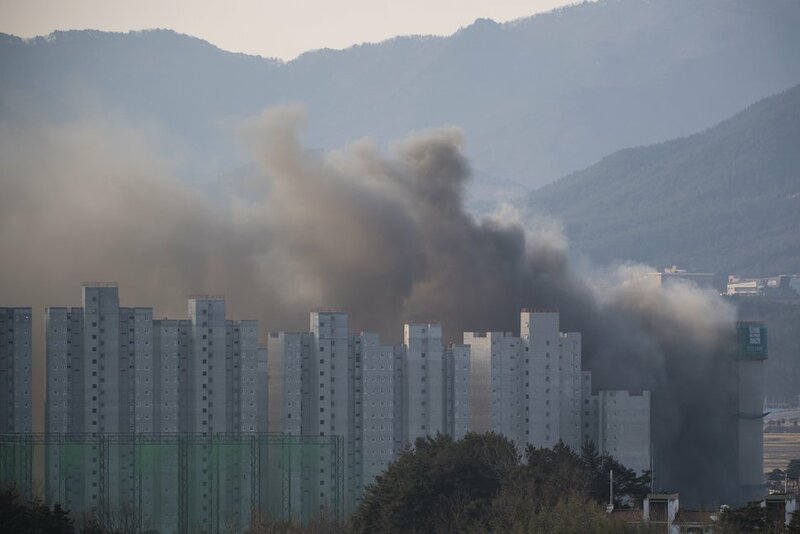 (Chris Detrick | The Salt Lake Tribune) A building fire near the media village during the Pyeongchang 2018 Winter Olympics Wednesday, Feb. 7, 2018. EMERGENCY ALERTS — These alerts, written in Korean, pop up on our phones all the time. Everyone scrambles to translate them and then sighs relief when they find out it’s about the wind or the cold. Because, like, an emergency alert in South Korea? In 2018? What else could possibly be wrong? (Chris Detrick | The Salt Lake Tribune) USA's Brittany Bowe reacts after racing Netherlands' Jorien Ter Mors in the Ladies' 1,000m during the Pyeongchang 2018 Winter Olympics Wednesday, Feb. 14, 2018. Bowe finished in 4th place with a time of 1:14.36. FOURTH- AND FIFTH-PLACE FINISHES — Winning isn’t everything. But after Team Utah’s success four years ago in Sochi, Pyeongchang hasn’t quite compared. It would have been nice to see a few more medal ceremonies. MAAME’S TEARS — Maame Biney is probably the happiest person any reporter has ever interviewed. If the Olympics can make her cry not-happy tears, are they really worth it? 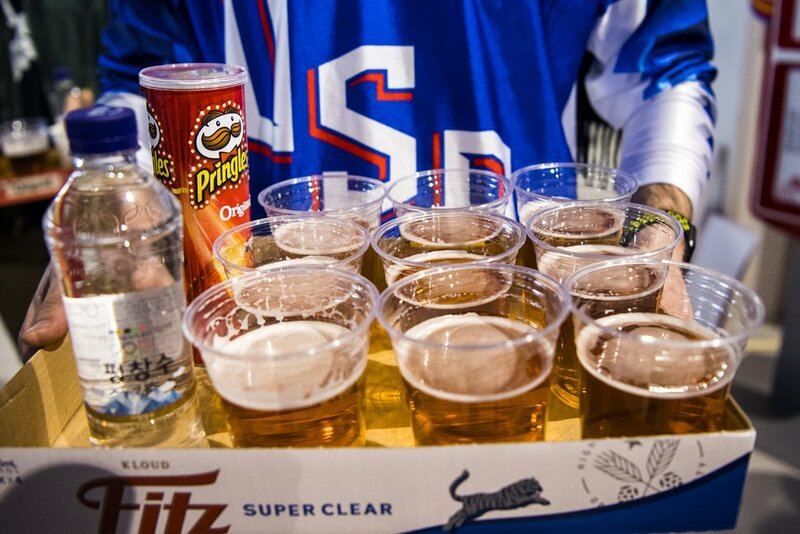 (Chris Detrick | The Salt Lake Tribune) A USA fan carries nine beers, water and Pringles during the United States vs Olympic Athletes from Russia hockey game at Gangneung Hockey Centre during the Pyeongchang 2018 Winter Olympics Saturday, Feb. 17, 2018. Olympic Athletes from Russia defeated United States 4-0. THE BEER — With the exception of our new friends at the Budnamu Brewery in Gangneung, most Korean beer we’ve come across has been Bud Light in a different bottle. We are looking forward to the many delicious craft beers from Salt Lake breweries. 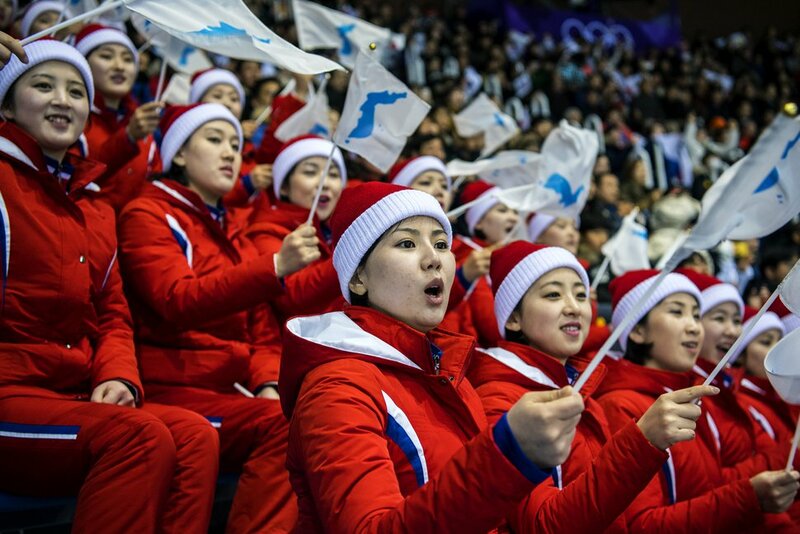 (Chris Detrick | The Salt Lake Tribune) North Korean cheerleaders perform during the Men's 500m Short Track Speed Skating at Gangneung Ice Arena Pyeongchang 2018 Winter Olympics Tuesday, Feb. 20, 2018. THE ARMY OF BEAUTIES — North Korea’s hand-picked delegation of cheerleaders were a curiosity for us foreigners, but they were always a propaganda piece for dictatorial government guilty of innumerable human rights abuses. 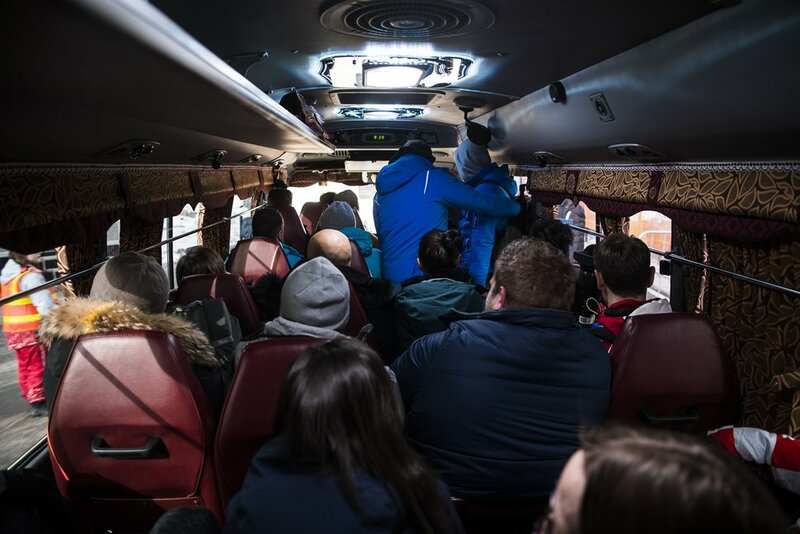 (Chris Detrick | The Salt Lake Tribune) Journalists ride on a bus from the Olympic Sliding Centre during the PyeongChang 2018 Olympic Winter Games Saturday, Feb. 24, 2018. SHUTTLES — All day. Every day. Back and forth, and back and forth. Forever. (Chris Detrick | The Salt Lake Tribune) Olympic athletes from Russia are introduced during the Pyeongchang 2018 Winter Olympics opening ceremony at Olympic Stadium Friday, February 9, 2018. OAR u serious? — The Olympic Athletes from Russia were not allowed to march in the Closing Ceremony under the country’s flag in wake of the ongoing doping scandal. Get this: Two more Russian athletes tested positive for banned substances here. Then, the Washington Post reported hours before Closing Ceremony that Russian spies hacked computers during the Opening Ceremony. NOROVIRUS UPDATES — You might not think you’d miss a daily email informing you of the number of people who have been afflicted with vomiting and diarrhea, but when you’re not one of them it’s a nice reminder of how good you’ve really got it. 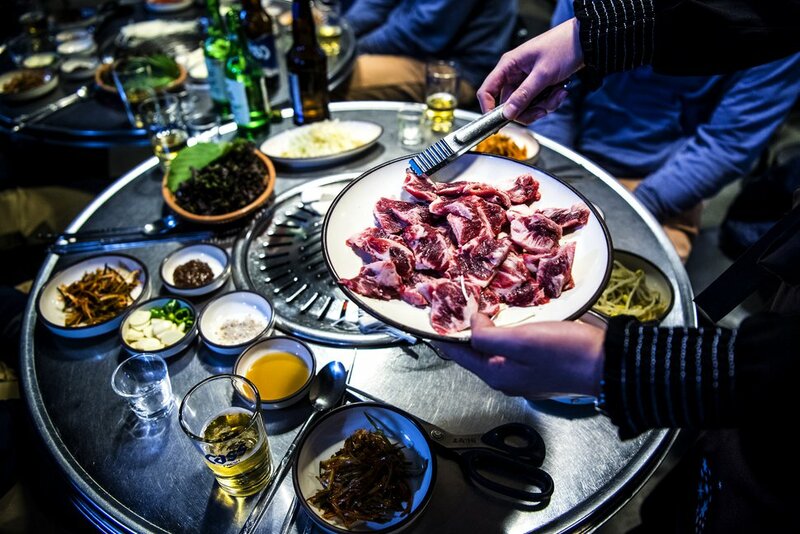 (Chris Detrick | The Salt Lake Tribune) Korean BBQ dinner during the Pyeongchang 2018 Winter Olympics Friday, Feb. 16, 2018. KOREAN CUISINE — It might actually be impossible to have a bad meal here. We walked into random buildings, practically begging to be proven wrong, but never were. Not once. Not in random Korean barbecue spots or the street pancakes in a random fish market in downtown Gangneung. 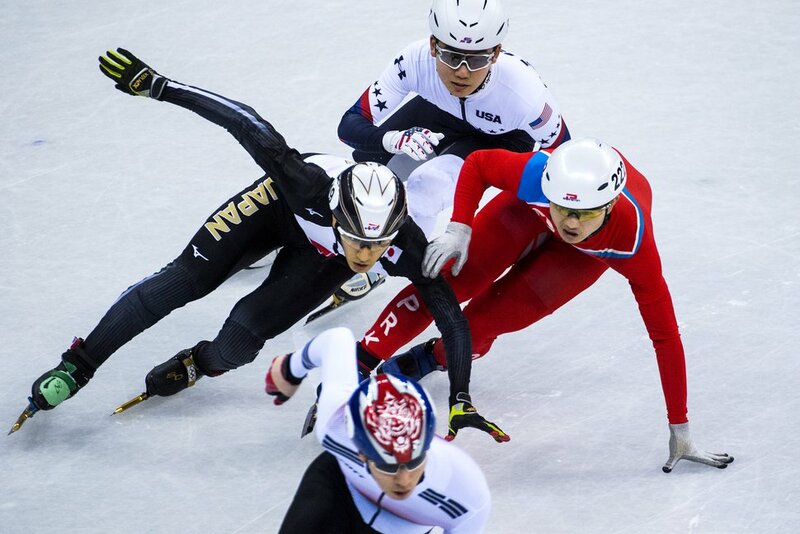 (Chris Detrick | The Salt Lake Tribune) Daeheon Hwang of Korea Keita Watanabe of Japan Thomas Insuk Hong of the United States and Kwang Bom Jong of North Korea race during the Men's 500m Short Track Speed Skating at Gangneung Ice Arena Pyeongchang 2018 Winter Olympics Tuesday, Feb. 20, 2018. SHORT-TRACK — Watching these compact and chaotic races in Korea, where the sport is beloved, has given us a new appreciation for it. And there is no wind inside the Gangneung Ice Arena. 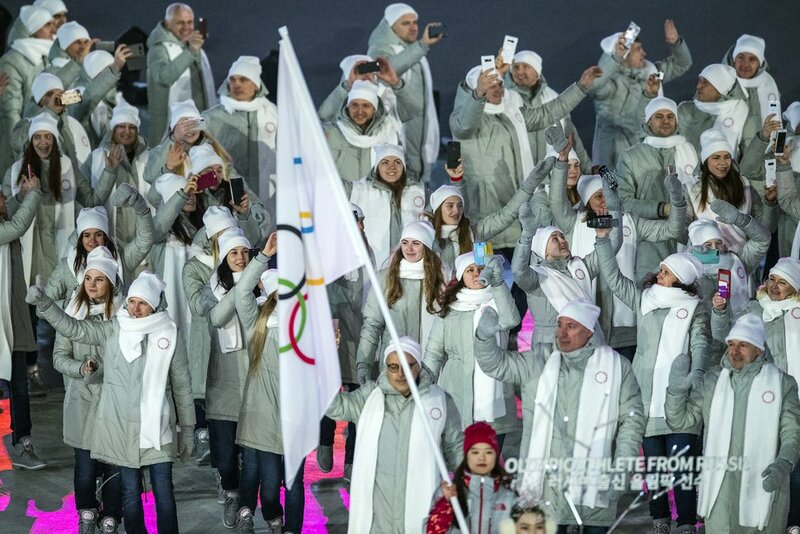 (Chris Detrick | The Salt Lake Tribune) Olympic volunteers during the Pyeongchang 2018 Winter Olympics Friday, Feb. 16, 2018. THE PEOPLE — They’re so nice, so welcoming, so helpful that you can’t help but not get too pissed off when they tell you they’re closed for the night or that there’s no more Korean fried chicken. (Chris Detrick | The Salt Lake Tribune) USA's Adam Rippon competes in the Men Single Skating Short Program at Gangneung Ice Arena during the Pyeongchang 2018 Winter Olympics Friday, Feb. 16, 2018. Rippon finished with a score of 87.95. 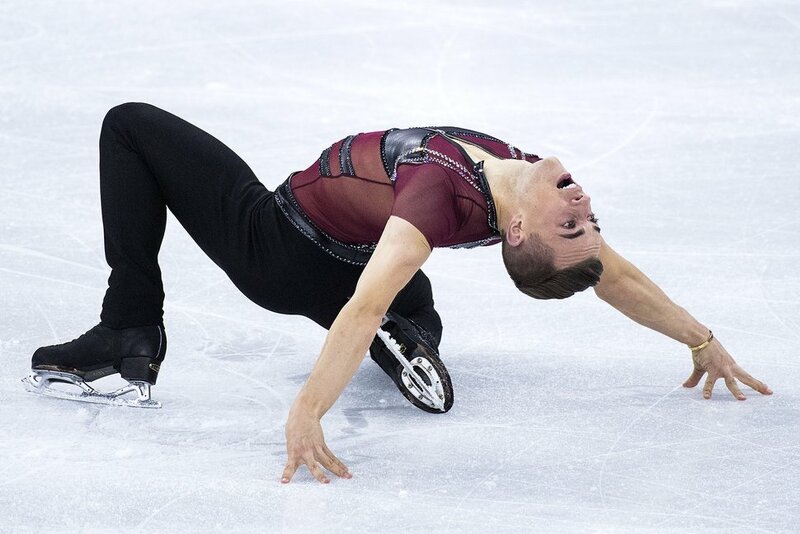 ADAM RIPPON — Who had a better Olympics than America’s Glamazon figure skater? As he said himself, he may not be the best but he is the most fun. (Chris Detrick | The Salt Lake Tribune) Republic of Korea Skip EunJung Kim throws the stone during the Women's Gold Medal Game at Gangneung Curling during the Pyeongchang 2018 Winter Olympics Sunday, Feb. 25, 2018. Sweden defeated Republic of Korea 8-3. 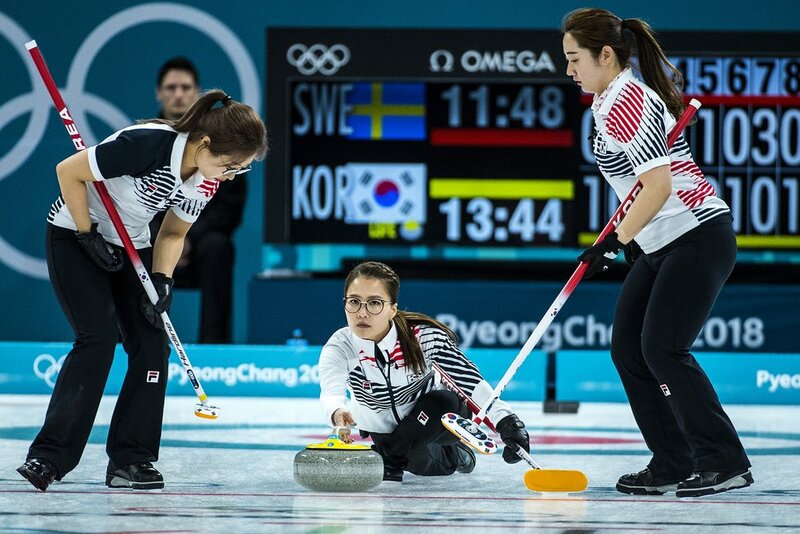 GARLIC GIRLS — Like everybody else, South Korea’s women’s curling team has won our hearts and a surprise silver medal. See you in 2022, Yogurt, Pancake, Steak, Cookie and Sunny. OUR CAULDRON — The Olympic Broadcast Station has 24-hour cameras set up around the region, taking viewers here live to venues and landmarks. Our go-to was the 24-hour shot of the Cauldron inside the Olympic Stadium. It burned for 17 days and provided perspective. (Chris Detrick | The Salt Lake Tribune) USA's Ted Ligety after competing in the Men's Alpine Combined at Jeongseon Alpine Centre during the Pyeongchang 2018 Winter Olympics Tuesday, Feb. 13, 2018. Ligety finished in 5th place with a time of 2:07.97. 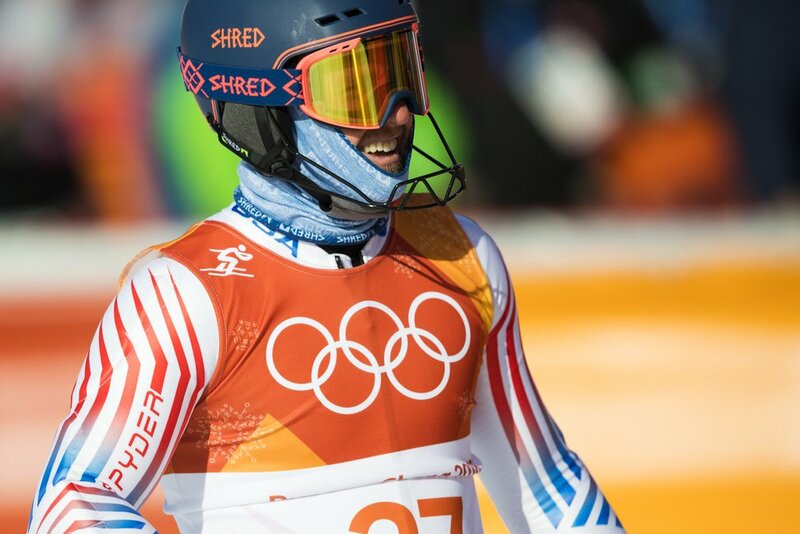 THE FAMILIAR FACES — This was likely it for Olympic legends like Lindsey Vonn and Ted Ligety, athletes who changed the sport. We’ll also miss seeing our fellow exhausted and talented Olympic colleagues from around the world whom we get to see every couple of years and commiserate with. (Chris Detrick | The Salt Lake Tribune) Korean Soju during the Pyeongchang 2018 Winter Olympics Thursday, Feb. 8, 2018. 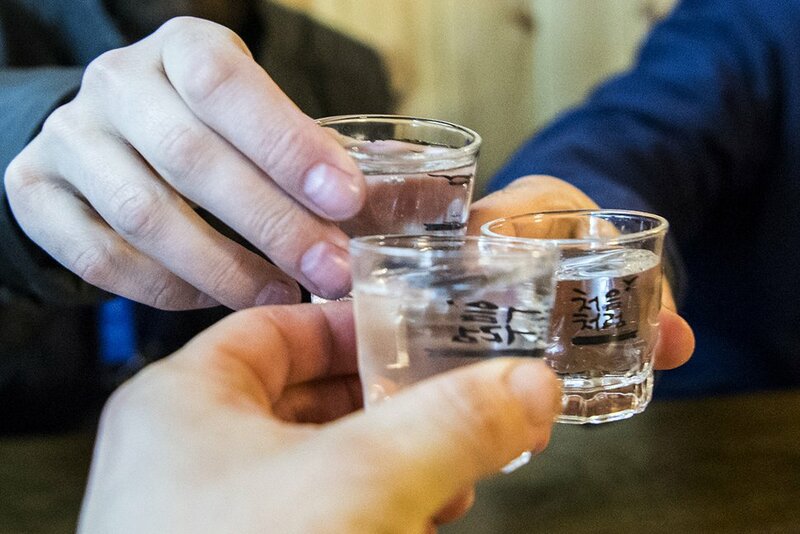 SWEET, SWEET SOJU — It’s the Korean sake, it pairs well with beer and beef and is considered rude to be drinking alone. Good thing tens of thousands of us visitors shared in similar memories after the long days. THE ‘X’ — There are many ways to tell someone no, so in our haze of being here for three weeks, we’re bringing back a specific Korean gesture. Every time someone asks us if the weather was enjoyable, we’ll cross our forearms and make the Korean ‘X.’ That means no. 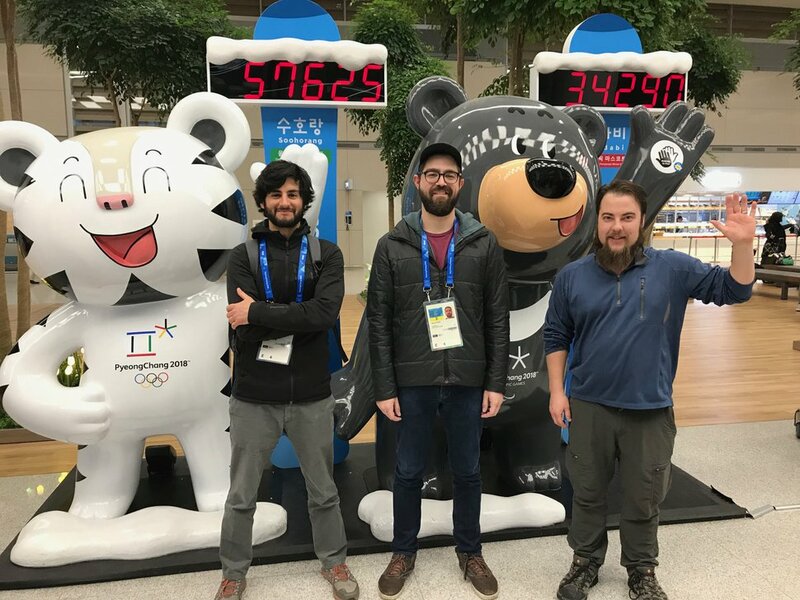 The Tribune's Olympics coverage team of Christopher Kamrani, from left, Aaron Falk and Chris Detrick pose for a photo in the airport in Seoul, South Korea.